Let’s talk about the two youngest composers on November's concert program, Derek Bermel and Christopher Theofanidis, both born in 1967, both graduates of Yale, and both favorites of Maestro David Alan Miller. Bermel’s music has appeared numerous times on ASO programs, the most recent being last year’s performance of Mar de Setembro. Theofanidis’s Violin Concerto will be on the May 30, 2017, concert. If you visit their websites (derekbermel.com and christophertheofanidis.com) and read their bios, you’ll be interested, I think, to see how their compositions grow out of a larger intellectual curiosity about their musical forbearers and contemporary life. Of course, they are not alone; all creative artists look for sources of inspiration outside of their own imagination, but the range of their interests is noteworthy. Take Theofanidis’s Rainbow Body. This 13-minute piece from 2000 was inspired by the music of Medieval nun Hildegard von Bingen and the “Tibetan Buddhist idea of ‘Rainbow Body.’” You can find a commentary on this fascinating and popular work at his website. Then go to youtube.com for a performance by the Atlanta Symphony: expansive, beautiful, atmospheric, colorful. Gramophone Magazine has noted Bermel’s “staggering eclecticism,” and if you read his bio and listen to his music, you’ll understand why. Crossover? You bet. 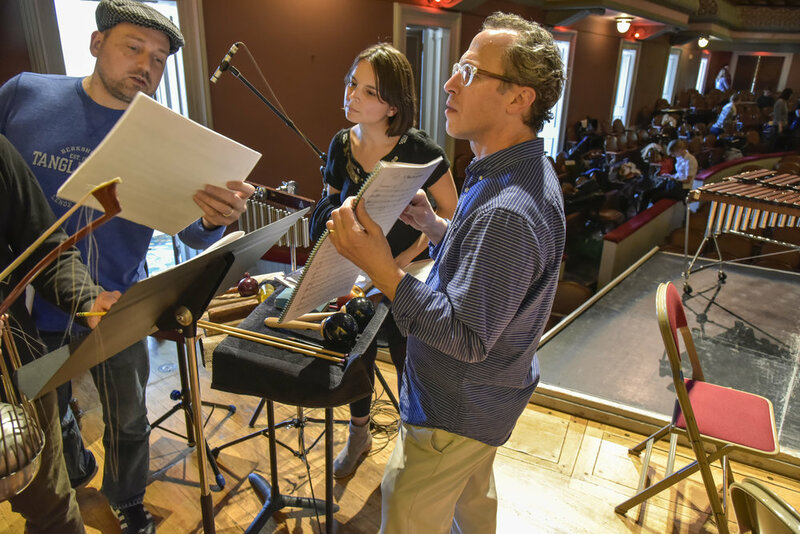 He’s a first-rate clarinetist--watch his improv performance with composer Clarice Assad (another Albany favorite). Then check out a video about Bermel’s piece for jazz band and orchestra called Migration Series, inspired by the paintings of Jacob Lawrence. (The Albany Symphony did it last year.) Little wonder, then, that his piece on the November concert was inspired by--? Letters of Bela Bartok. Older PostDavid Alan Miller's Top Classical Picks for Halloween!